"We're not playing his Game any longer. Now, he's playing ours." 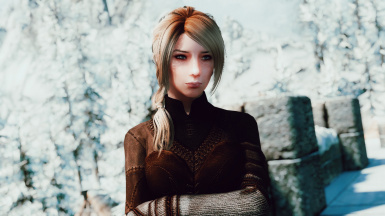 A big 'ol thank you to all the hardworking mod authors, linked in the description or not, that have blessed us with the ability to make characters that don't look like shriveled up weeds. Thanks to the others that allow us to replay the game for the 400th time but with new adventures we weren't capable of having before. You have my eternal gratitude, if that's worth anything. 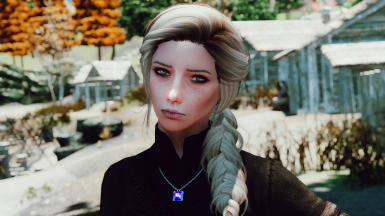 This version changes her hairstyle to what you see in the screenshots above and makes a few minor changes (brows, lips) to the rest of her. Besides that, she's mostly the same. Fixed a few jagged edges on the head. Thank you sculpt tools. Hey now! 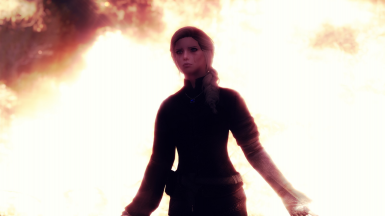 We're at 2.0 because I've learned a couple of new tricks for taking screenshots and in using Racemenu since I posted this the first time! Now she's much closer to what I wanted. Mostly, I just changed her hair and amped up the "I really wish I weren't here right now" attitude. Anyway, it's still just a preset of the protagonist of a fanfiction that I've been working on. I know, I know, and I can STILL HEAR your eyes rolling. It isn't the kind of fanfiction you're probably thinking of. She's a Breton, by the by. Might get a little wonky if you load the preset as an Argonian or something. Although, the results might be kinda interesting. 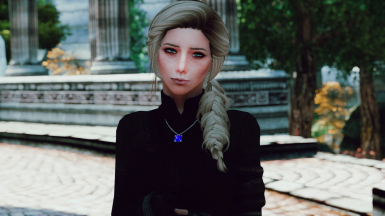 An important thing to note; if you DO want to download this and you DO want her to look like the screenshots, you'll need a handful of mods that I've added links to down below and under the requirements tab. 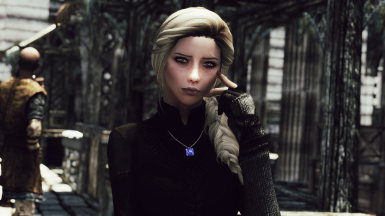 Now, you don't actually NEED any of them, but she'll look drastically different depending on the mods you are or aren't using. The only hard requirement is Racemenu ﻿and by extension, it's requirements. Otherwise, I don't think you'll be able to use the preset. Toss that thing into the skse/plugins/Chargen/Presets folder. Open the character creation menu. You can do this through the console command, "showracemenu." Select the Presets tab from Racemenu. Load the preset named "MotA - Ysadette Version2.jslot." RUN, YOU NETCH FART. THE THALMOR ARE COMING. Delete it like you mean it. Really send that poor little file to the abyss. Let it know it's feeble attempts at survival are futile. Maybe let out a war-cry while you do it. An evil laugh will also suffice. Know that I probably felt a disturbance the moment you finished the deed. Come to terms with the grave mistake you've made. Go on with the rest of your life. You can do this in any order you please. And if you happen to be one of my readers, welcome! I guess you found me. If you aren't and you just stumbled across this thing and may be interested in reading the story, come on over and take a look. I have the same username over on fanfiction.net. This has been your friendly neighborhood Square. Have a good one.